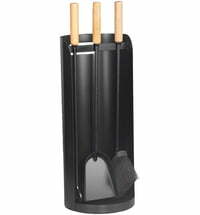 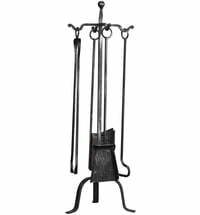 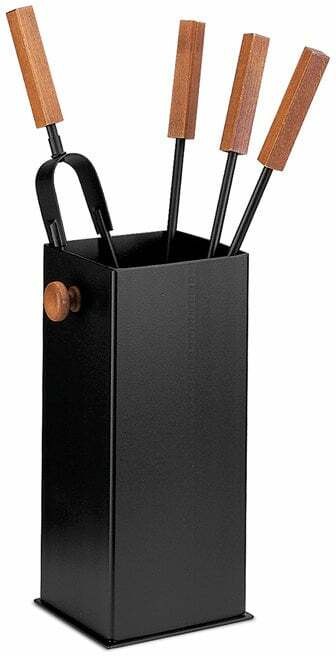 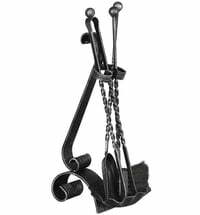 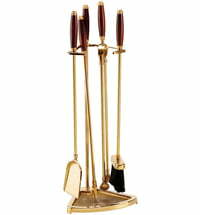 A set of four fireplace tools in a black holder with wooden handles. This four-piece fireplace tool set by Schössmetall convinces with its functionality and simple design. 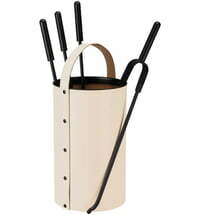 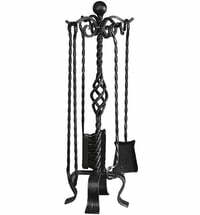 The fireplace tool holder is in elegant black, and the handles and the trim are made from walnut colored beech. 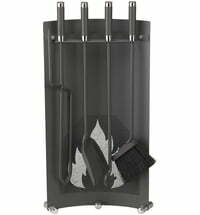 In the rectangular container, the fireplace accessories can be easily and quickly stored and are protected from contamination base of the container. 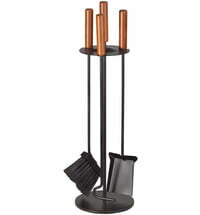 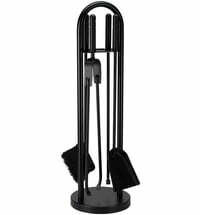 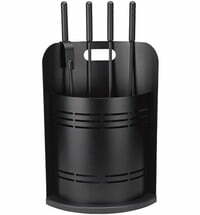 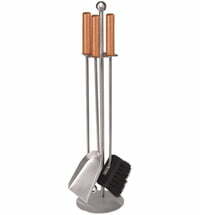 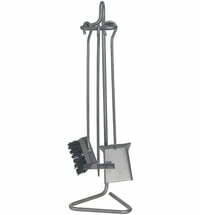 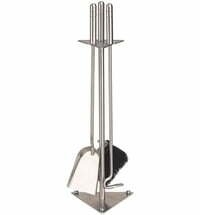 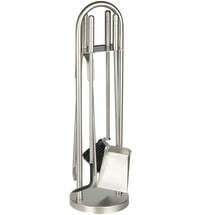 Modern, functional and high quality - the Bucket fireplace tool set is the ideal accessory for any fireplace.